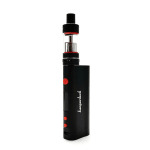 Sorry, Kanger Topbox Nano Temp Control Kit has been discontinued. The Kanger TOPBOX Nano Kit is the upgraded version of the popular Subox Nano, a compact sub-ohm kit, now with temperature control mode, and a very convenient new top-filling tank. It also features a new coil design, the SSOCC coils, allowing more e-liquid in the tank while keeping the same great vapor production and flavor as the classic OCC coils. This new design, combined with the top-filling system, allows the TOPTANK Nano to carry up to 3.2ml of e-juice in a very compact device! 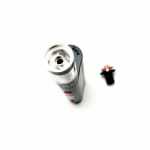 It uses a single 18650 high drain battery, not included, that can be purchased in our batteries for mods section. 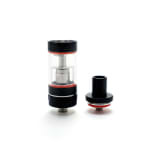 Introducing the Kanger TOPBOX Nano Kit, with top-filling tank and temperature control! 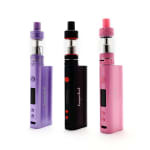 The Kanger TOPBOX Nano Kit is the upgraded version of the popular Subox Nano, a compact sub-ohm kit, now with temperature control mode, and a very convenient new top-filling tank. It also features a new coil design, the SSOCC coils, allowing more e-liquid in the tank while keeping the same great vapor production and flavor as the classic OCC coils. This new design, combined with the top-filling system, allows the TOPTANK Nano to carry up to 3.2ml of e-juice in a very compact device! The Topbox Nano Kit comes with three different types of coil, a SSOCC Clapton at 0.5ohm, a SSOCC at 1.5ohm, and a SSOCC Nickel at 0.15ohm. It has an output power of 60W compared to 50W in the Subox Nano/Mini, and features a temperature control mode when using Nickel or Titanium coils. I've now graduated to this vape from my old cloudmaker essential. The nano fills up from the top which is a bit easier than before, and much cleaner! I can't recommend this enough! Lots of vapour and flavour, plus I have an extra battery I bought too!